My calendar was pretty full but the teacher was strategic. She sent me an email invitation with an embedded video of her three students inviting me to their party. There I was, face-to-face with three girls. It was pretty hard to look them in the eye and think of saying no. 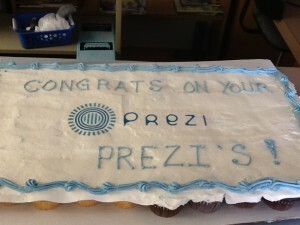 I was also curious to find out what these students thought of using prezi as a tool to demonstrate their learning. Thus, this past week I ended up in the library at Green Timbers Elementary with Mrs. Thiessen’s grade 3 class. 1. The students designed their own rubric to assess their learning. The rubric included the things that these students felt were important. They wanted to make sure that: they stayed on topic, they included captions, the information reflected their learning, they used appropriate grammar and punctuation and that they demonstrated the ability to embed videos and pictures in their presentation. Finally, they tried to add some “cool factor” for a special effect. By helping design the rubric, the students were owning their learning. 2. The students had learned a new tool. I have never made a prezi and I could see that they clearly had a few things to teach me. 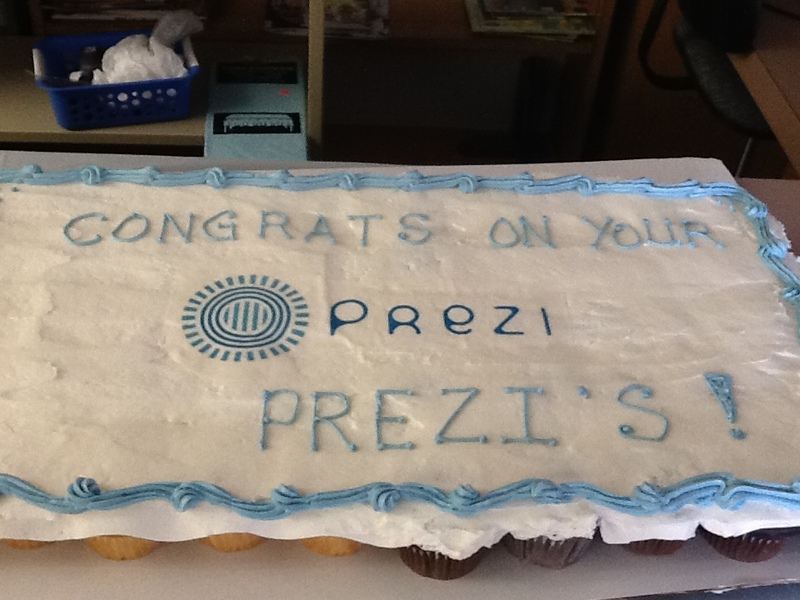 I was also amazed at their versatility using prezi for being in grade 3. Two of the invited guests also have children in grade 3. We noted that our own children have only had the opportunity to use computers in their schools to do typing and math games. It was nice to see these students using technology creatively to support their learning. 4. The students were deeply engaged in their learning. At the end of each of their presentations they reflected on their experience and what they thought about learning in this fashion.